.The Software may not be redistributed. .You may not remove any copyright or other proprietary notices contained in the documents and information. The Site and Content provided on or through the Site are the intellectual property and copyrighted works of Speedy Software. All rights, title and interest not expressly granted with respect to the Site and Content provided on or through the Site are reserved. All Content is provided on an "As Is" and "As Available" basis, and Speedy reserves the right to terminate the permissions granted to you in Sections 1 and 2 above and your use of the Content at any time. Speedy takes precautions such as administrative, technical, and physical measures to protect your personal information against loss, theft, and misuse, as well as unauthorized access, disclosure, alteration, and destruction. Speedy uses secure server hosted by Paypal, SWREG and other 3rd party credit card processors that encrypt all the customer's personal information such as name, address, credit card number credit card expiration date etc. before it is sent to us. Encryption works to prevent any malicious use of your personal information. You can also take precautions to protect your personal data when you are on the Internet such as using a combination of letters and numbers as your passwords, and using a secure web browser like Safari. Speedy may, in its sole discretion, at any time discontinue to provide or limit access to the Site, any areas of the Site or Content provided on or through the Site. You have to agree that Speedy may, in its sole discretion, at any time, terminate or limit your access to or use of the Site or any Content. Speedy will terminate or limit your access to or use of the Site if, under appropriate circumstances, you are determined to be a repeat infringer of third party copyright rights. You have to agree that Speedy shall not be liable to you or any third-party for any termination or limitation of your access to or use of the Site or any Content. Ongoing Subscriptions. Your PC Drivers subscription, which may start with a free trial, may continue month-to-month or year-to-year (depending upon your subscription purchase) unless and until you cancel your subscription or we terminate it. You must have Internet access and provide us with a current, valid, accepted method of payment (as such may be updated from time to time, "Payment Method") to use the PC Drivers service. We will bill the term subscription fee to your Payment Method. You must cancel your subscription before it renews ,subject to your subscription term at time of purchase, in order to avoid billing of the next terms subscription fees to your Payment Method. Your PC Drivers subscription may start with a free trial. The free trial period of your subscription may vary depending upon promotion, or as otherwise specified during sign-up. For combinations with other offers, restrictions may apply. Free trials are for new and certain former subscriber only. PC Drivers reserves the right, in its absolute discretion, to determine your free trial eligibility. We will begin billing your Payment Method for monthly subscription fees at the end of the free trial period of your subscription unless you cancel prior to the end of the free trial period. To view the specific details of your subscription, including monthly subscription price and end date of your free trial period, visit our payment processor's website and click the "View billing details" link on the "order confirmation" email. We may authorize your Payment Method through various methods, including authorizing it up to approximately one month of service as soon as you register. In some instances, your available balance or credit limit may be reduced to reflect the authorization during your free trial period. You will not receive a notice from us that your free trial period has ended or that the paying portion of your subscription has begun. Sigin your email account, find the "Order Confirmation Email" that sent by our payment processor, follow the order link to find cancel instruction. We will continue to bill your Payment Method on a monthly/annually basis for your subscription fee until you cancel. Recurring Billing. By starting your PC Drivers subscription and providing or designating a Payment Method, you authorize us to charge you a monthly or annual subscription fee (dependent upon your subscription term) at the then current rate, and any other charges you may incur in connection with your use of the PC Drivers service to your Payment Method. You acknowledge that the amount billed each term may vary for reasons that may include differing amounts due to promotional offers, including gift card redemption and promotional code redemption, and/or changing or adding a plan, and you authorize us to charge your Payment Method for such varying amounts, which may be billed monthly or annually (dependant upon your subscription term) in one or more charges. Refunds. We offer a 60 Days Money Back Guarantee! You can request for a refund within 60 days! Payment Methods. You may edit your Payment Method information by the link in order confirmation email, available at the the pages of the our payment processor website. If a payment is not successfully settled, due to expiration, insufficient funds, or otherwise, and you do not edit your Payment Method information or cancel your account (see, "Cancellation" below), you remain responsible for any uncollected amounts and authorize us to continue billing the Payment Method, as it may be updated. This may result in a change to your payment billing dates. For certain Payment Methods, the issuer of your Payment Method may charge you a foreign transaction fee or other charges. Check with your Payment Method service provider for details. Cancellation. You may cancel your PC Drivers subscription at any time, and you will continue to have access to the PC Drivers service through the end of your term billing period. To cancel, go to the order confirmation email, find the order link to our payment processor website, on that website and follow the instructions for cancellation. If you cancel your subscription, your account will automatically close at the end of your current billing period. 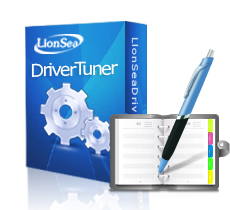 If you signed up for PC Drivers using your account with a third party as a Payment Method, and wish to cancel your PC Drivers subscription at any time, including during your free trial, you may need to do so through such third party, including by visiting your account with the applicable third party and turning off auto-renew, or unsubscribing from, the PC Drivers service through that third party. You may also find billing information about your PC Drivers subscription by visiting your account with the applicable third party. The Site provides links to Web sites and access to Content, products and services of third parties. Speedy is not responsible for third party Content provided on or through the Site and you have to undertake all risks associated with the access and use of such Web sites and third party Content, products and services. EXCEPT WHERE EXPRESSLY PROVIDED OTHERWISE, THE SITE, AND ALL CONTENT PROVIDED ON OR THROUGH THE SITE, ARE PROVIDED ON AN "AS IS" AND "AS AVAILABLE" BASIS. Speedy EXPRESSLY DISCLAIMS ALL WARRANTIES OF ANY KIND, WHETHER EXPRESS OR IMPLIED, INCLUDING, BUT NOT LIMITED TO, THE IMPLIED WARRANTIES OF MERCHANTABILITY, FITNESS FOR A PARTICULAR PURPOSE AND NON-INFRINGEMENT WITH RESPECT TO THE SITE AND ALL CONTENT PROVIDED ON OR THROUGH THE SITE. Speedy MAKES NO WARRANTY THAT: (A) THE SITE OR CONTENT WILL MEET YOUR REQUIREMENTS; (B) THE SITE WILL BE AVAILABLE ON AN UNINTERRUPTED, TIMELY, SECURE, OR ERROR-FREE BASIS; (C) THE RESULTS THAT MAY BE OBTAINED FROM THE USE OF THE SITE OR ANY CONTENT PROVIDED ON OR THROUGH THE SITE WILL BE ACCURATE OR RELIABLE; OR (D) THE QUALITY OF ANY CONTENT PURCHASED OR OBTAINED BY YOU ON OR THROUGH THE SITE WILL MEET YOUR EXPECTATIONS. ANY CONTENT ACCESSED, DOWNLOADED OR OTHERWISE OBTAINED ON OR THROUGH THE USE OF THE SITE IS USED AT YOUR OWN DISCRETION AND RISK. Speedy SHALL HAVE NO RESPONSIBILITY FOR ANY DAMAGE TO YOUR COMPUTER SYSTEM OR LOSS OF DATA THAT RESULTS FROM THE DOWNLOAD OR USE OF CONTENT. Speedy RESERVES THE RIGHT TO MAKE CHANGES OR UPDATES TO, AND MONITOR THE USE OF, THE SITE AND CONTENT PROVIDED ON OR THROUGH THE SITE AT ANY TIME WITHOUT NOTICE. IN NO EVENT SHALL Speedy Software BE LIABLE FOR ANY DIRECT, INDIRECT, INCIDENTAL, SPECIAL OR CONSEQUENTIAL DAMAGES, OR DAMAGES FOR LOSS OF PROFITS, REVENUE, DATA OR USE, INCURRED BY YOU OR ANY THIRD PARTY, WHETHER IN AN ACTION IN CONTRACT OR TORT, ARISING FROM YOUR ACCESS TO, OR USE OF, THE SITE OR ANY CONTENT PROVIDED ON OR THROUGH THE SITE. The trademarks, logos and service marks ("Marks") displayed on this Site are the property of Speedy or other third parties. You are not permitted to use the Marks without the prior written consent of Speedy or such third party which may own the Marks. Speedy and the Speedy logo are trademarks of Speedy Software Studio.